Did you hear that? Did it sound like a constant ringing? Does it come and go while seeming to have no point of origin? If you are hearing something that no one else hears, then that doesn’t mean you are going crazy. You may have tinnitus. Lets take a moment to sort through the rumors and misinformation regarding tinnitus by stating the facts. Tinnitus is the perception of a sound in the ear that is not actually there. The origin of the word comes from the Latin word meaning “ringing.” Though ringing gives it its name, people with tinnitus can hear a wide range of sounds. Oddly enough, tinnitus is not considered a disease. Rather, it is considered a condition, and can be the result of many things. This often leads to confusion surrounding tinnitus, and can be the reason why finding concrete information is such a challenge. To make it simpler to fully understand, lets break it down. There are two primary kinds of tinnitus, objective and subjective. Objective tinnitus is when other people can hear a sound coming out of the patient’s ear. This arises from altered blood flow around the ear. Objective tinnitus can occur because of a wide range of life-threatening and harmless reasons. As a result, your physician should check it out immediately. The other kind of tinnitus is subjective tinnitus. Subjective tinnitus is where the patient hears a sound or experiences sound loss imperceptible to other people. When most people reference tinnitus, they are talking about subjective kind. Subjective tinnitus can be caused by mercury or lead poisoning, an external ear infection, earwax, middle ear effusion, otoxic medications, multiple sclerosis, head injury, a thyroid disease, depression, anxiety, vitamin B12 deficiency, giant cell arthritis, and even neck problems. A few additional common causes of subjective tinnitus are loud music, acoustic shock, or loud sounds. The most common symptom is when you notice something wrong with your hearing. 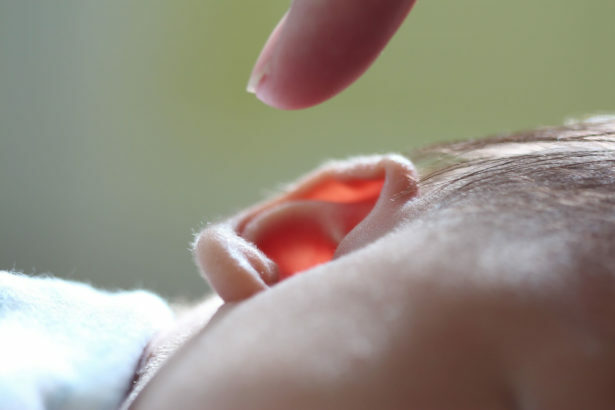 This is often experienced as hearing a constant high pitch noise that no one else can hear. Where as objective tinnitus is quite rare and can easily diagnosed, subjective tinnitus is much more common and a challenge for a physician to diagnose. One way that physicians diagnose the sound is by playing multiple tones until the patient recognizes what they hear. By playing the tone higher then what the patient hears, it can be lowered until the patient hears the tinnitus, allowing for physicians to diagnose how loud the sound is. The primary kinds of treatment are talk therapy and sound therapy. In addition, if it is though that the sound results from a psychological condition, then Cognitive Behavioral Therapy is applied. There are no medication for treating tinnitus directly, but there are ways to stop it. A variety of home treatments are also available though most of them have various effectiveness depending on the person. The best way to prevent Tinnitus is by using earplugs when you know you will be in a noisy environment. Constant noise at 70 decibels and higher can cause tinnitus. If you believe you may have Tinnitus, then contact your physician for options.